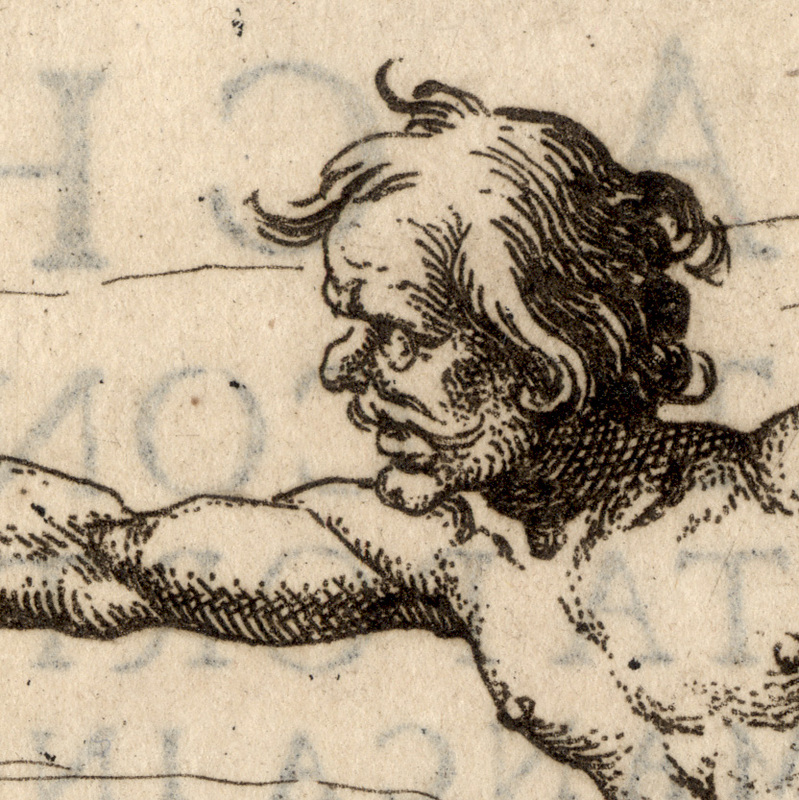 Etching in brown ink on fine laid paper with margins and text printed verso as published. 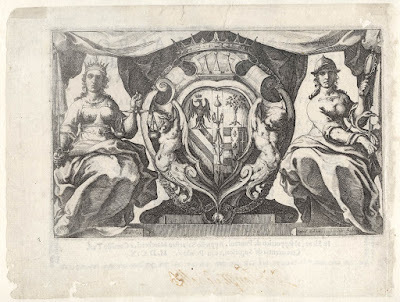 Signed with the artist’s monogram, plate number and annotated with letters referencing the text. 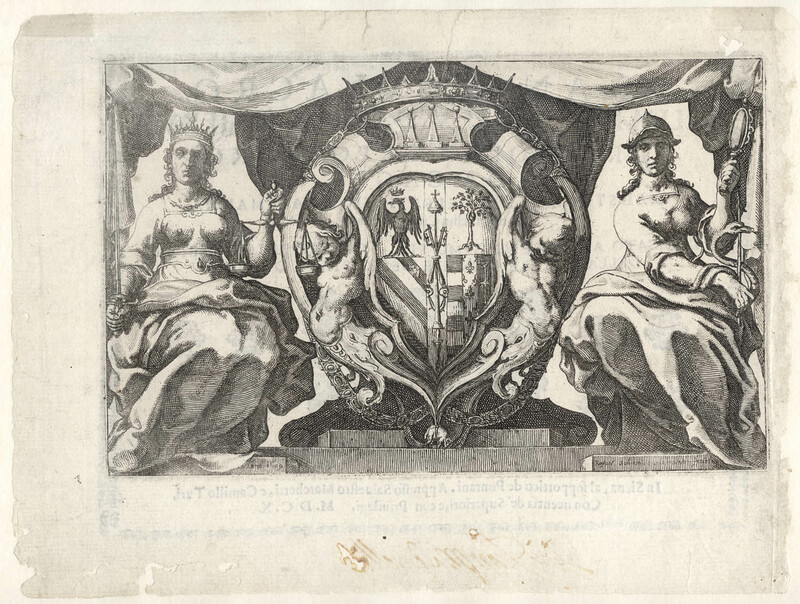 Condition: apart from the front piece which is in very poor condition and laid onto a support sheet, the impressions are strong with full margins and text as published (verso). 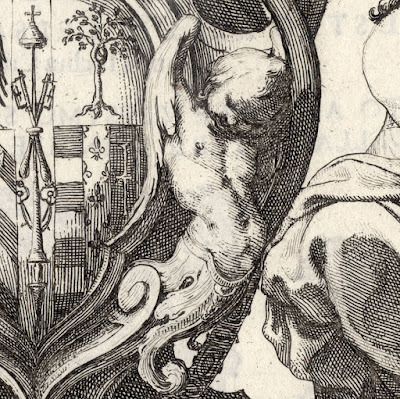 There are minor blemishes/stains and remnants of mounting. 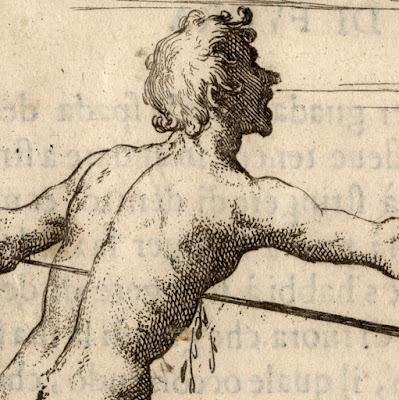 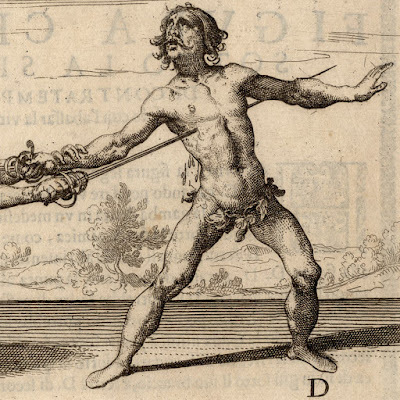 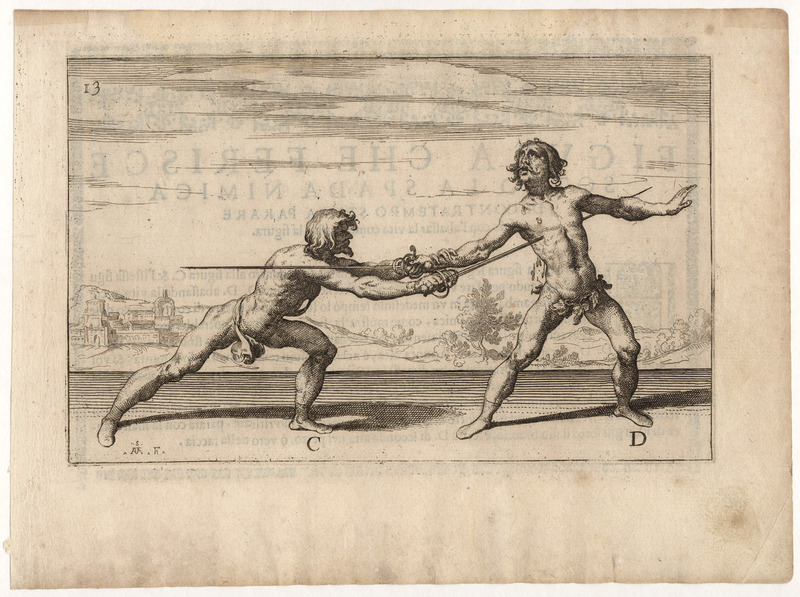 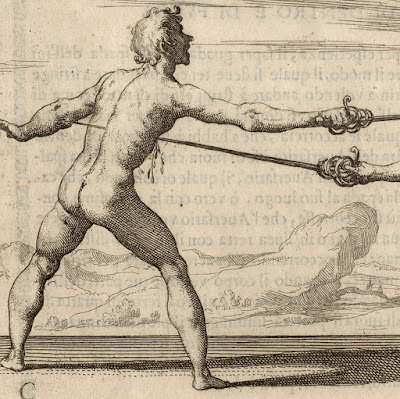 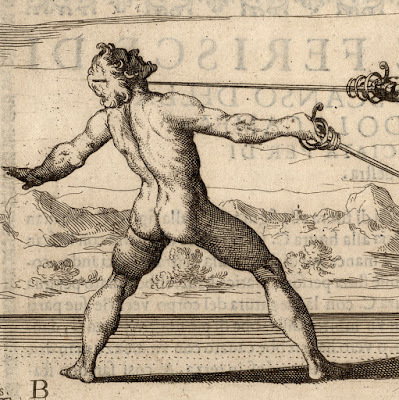 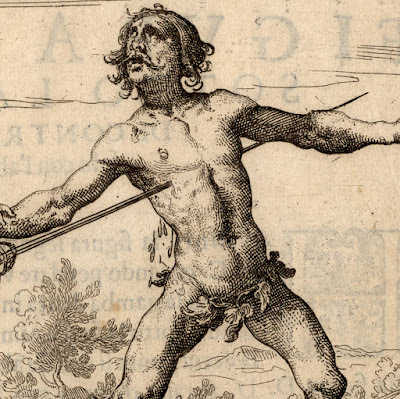 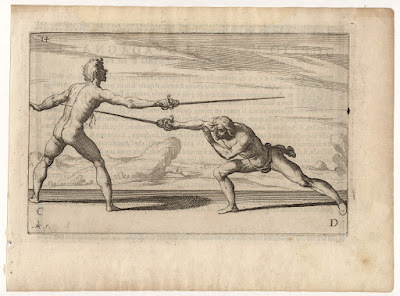 Although these are illustrations from the 43 plates in Ridolfo Capo Ferro’s book on fencing (Italian rapier combat), 'Gran simulacro dell'arte e dell'uso della scherma' (published in Siena in 1610), I propose that they are not entirely designed as lessons in tough love when learning to fence. From what I have read about Schiaminossi, he had a sense of humour—albeit a rather macabre one. 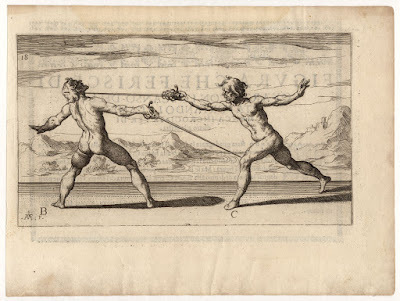 This understanding about his mindset is from an obituary written one of his best friends, Teofilo Torri: “homo molto spirituale et spiritoso tanto nel dipingere come nel intaglio d'acquaforte si come si vede de sue molte carte...” which my Google translation tells me that he was a spiritually witty chap. 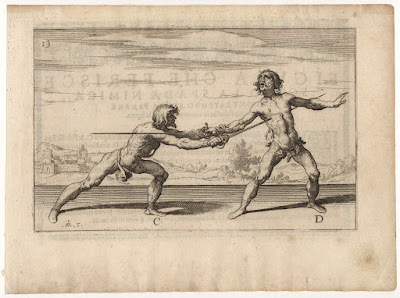 (See the British Museum’s biography for Schiaminossi: http://www.britishmuseum.org/research/search_the_collection_database/term_details.aspx?bioId=107994). 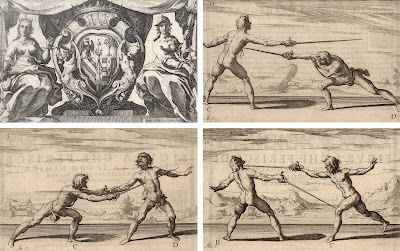 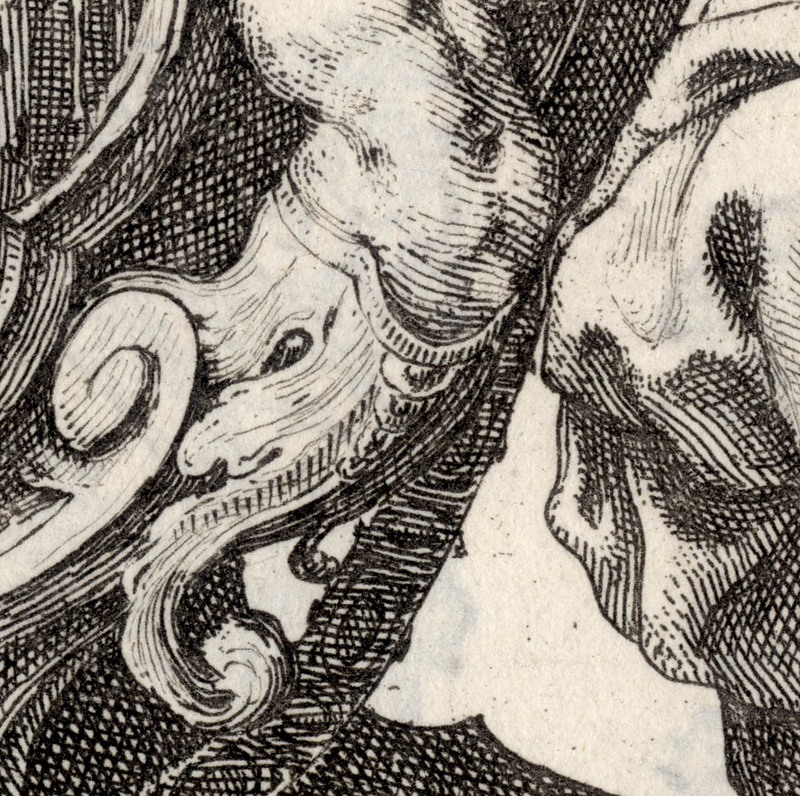 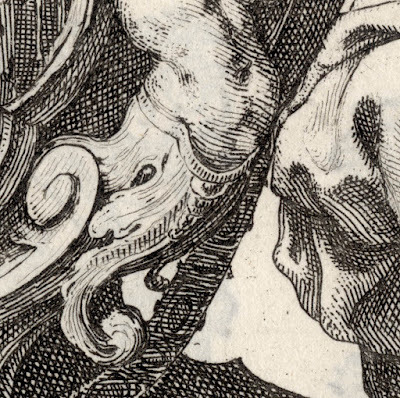 One thing that I have discovered from looking at these prints is the importance of learning to fence while being completely naked … but the reason eludes me.